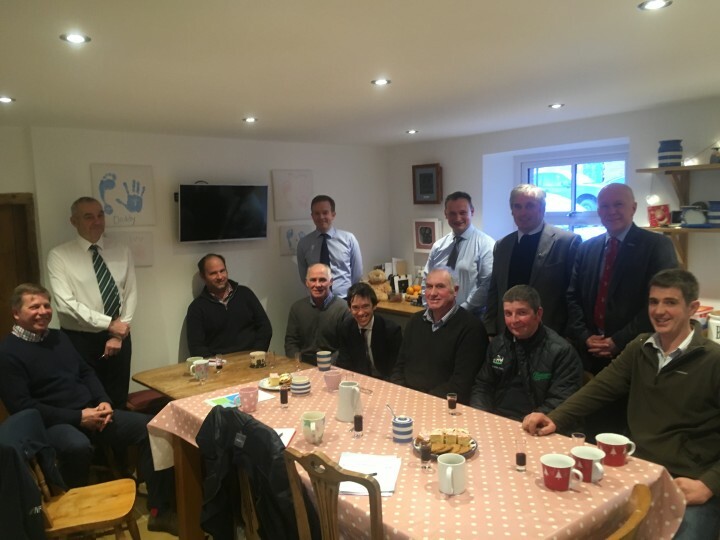 Penrith and The Border MP Rory Stewart last week attended a meeting of farmers from North Cumbria, organised by the National Farmers Union (NFU) and held at Low Wood Farm, Warwick Bridge, to discuss the challenges around Bovine TB (bTB) and Brexit, and hear the concerns of local farmers. Acknowledging the potentially catastrophic effects of the spread of bTB in Cumbria, there was a strong consensus that more must be done to contain the disease, in order to protect the Cumbrian agricultural economy. Similarly, it was agreed there must be a move towards more efficient testing of cattle, along with stronger sanctions on the movement of cattle, to prevent bTB becoming endemic in the area. Rory Stewart said he was confident that through continued dialogue between Defra, APHA, the NFU and local farmers, and strong, timely action, the effects of this disease could effectively be mitigated. The group also voiced concerns about the ongoing Brexit negotiations, as the agriculture sector is likely to be impacted in a number of ways; particularly by the seasonal migration of workers and the effect of any new trade relationships.